This color combination of oranges and pinks makes me happy. What happy colors! Did you see how a fun designer, Sam Allen, used them together? Come by my blog to see. love orange and pink. they make me happy too! have a nice day! I love these colors! 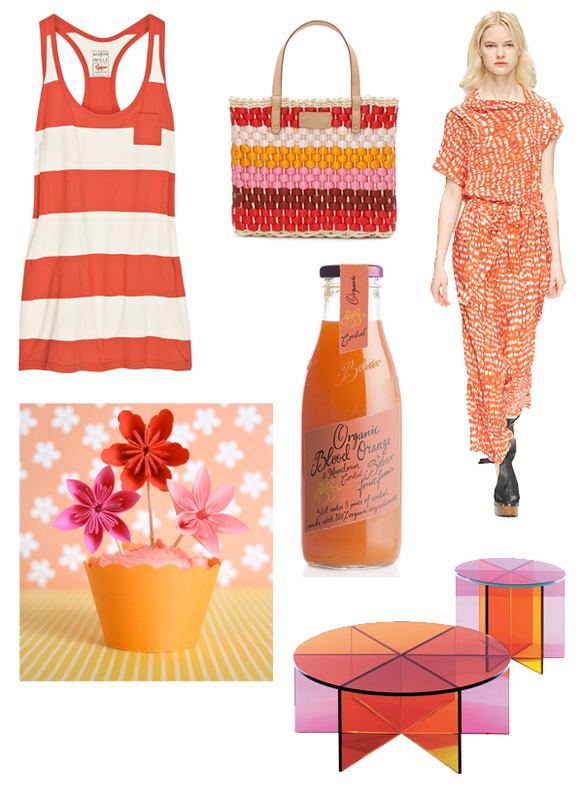 And I've never really been an orange or a pink person, but they really to inspire a burst if happiness, don't they?! I want that tank, so cute! and now you have made me happy!